“Making Home a Reality” for my clients brings me great joy. I often share, clients are like members of my own family. My business is built around repeat and referrals. I have a passion for helping people sell their home, or find a dream home. In a competitive market, you need a Realtor® who will negotiate on your behalf, and is experienced. You could say being a Realtor® is in my blood. My mother, who was a pioneer in the Real Estate industry, helped guide me into the profession. It is an honor to carry on my mother’s legacy. Outside of Real Estate, my life is complete with three beautiful children, two dogs and a cat. I’m highly involved in the community in both volunteer, and professional organizations. When you hire me as your Realtor® you get me, and my team working for you. 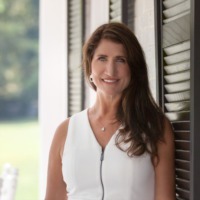 About me Professionally: Member of the National Association of Realtors® (NAR), Tennessee Association of Realtors® (TAR), and Williamson County Association of Realtors® (WCAR).